Peter was looking for a stripped back clean looking road bike. 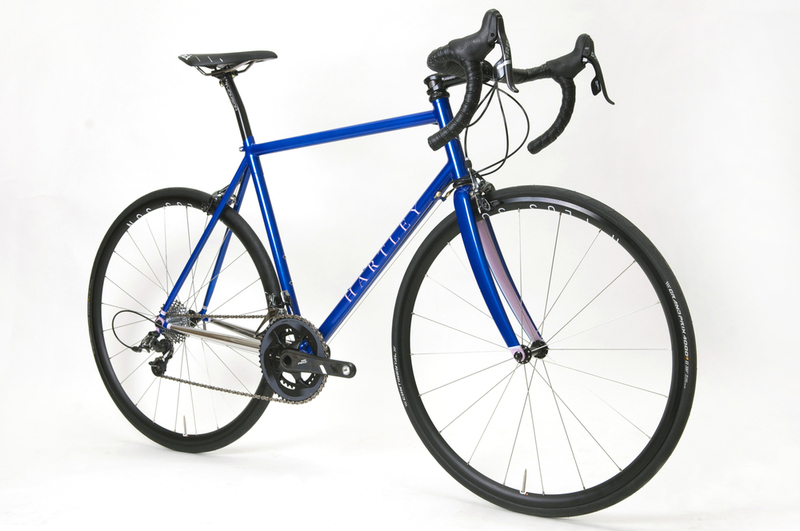 He wanted something lightweight and stiff, that would be great for thrashing out the hilly miles in his favourite cycling destination – The Peak District. 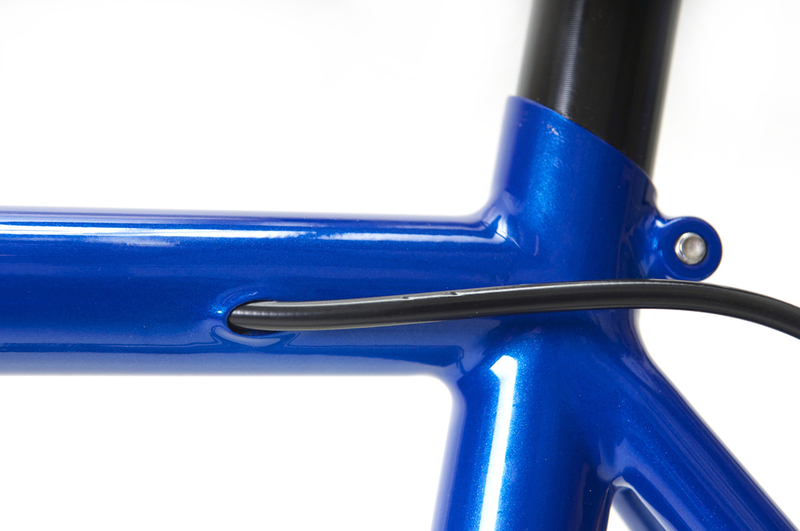 To increase the stiffness we chose a 35mm down tube and Columbus XCR stainless steel stays, and added a little custom stainless steel teardrop profile chainstay bridge. 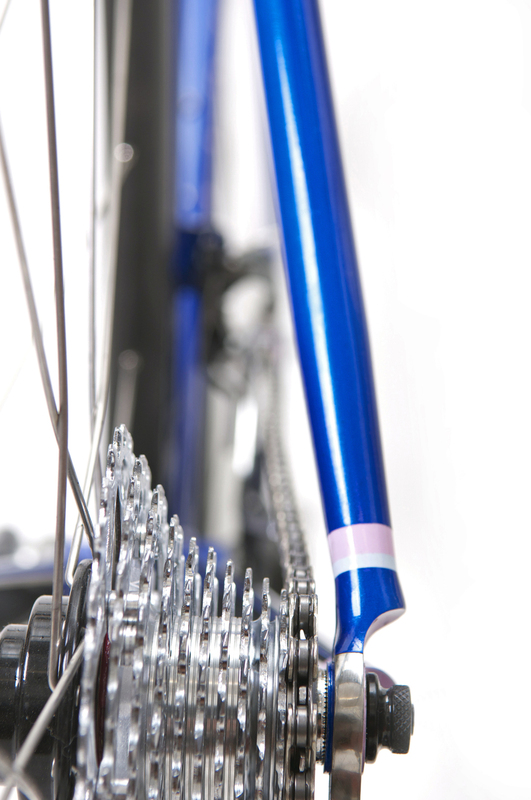 The groupset and components were selected to give the optimum performance, weight, and pared back style. All finished off with a bold but simple paint design, a bit of hand polishing and the trade mark solid silver details. It comes together to give a really clean contemporary feel, all weighing in at under 7.5kg! Tubing: - Columbus Spirit for Lugs and Zona main triangle with Columbus XCR stainless steel chainstays (mirror polished). Groupset and finishing kit: - SRAM Force22 Group, Thomson carbon road bars, Thomson Masterpiece seat post and stem, Fizik Arione saddle and Fizik bartape. 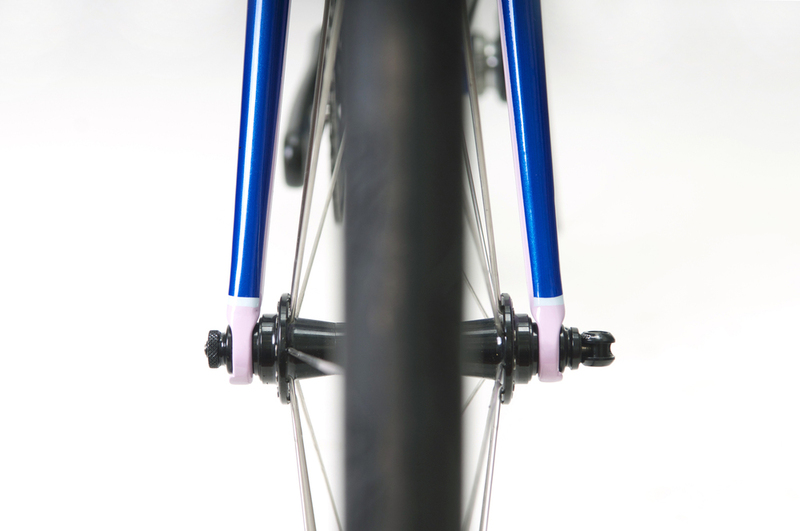 Paint: - Custom inhouse paint work in metallic cobalt blue with pale pink and blue detailing. Name etc. all in paint, no decals. Forks painted to match. Details: - Solid silver details hand cut and brazed onto frame - inc. head badge and spear point hidden on rear of seat tube.